In the run-up to the holidays, the big releases are starting to thin out. This week the only truly notable release is Darksiders III, though RIDE 3 may interest some of the motorsports fans among you. Asterix & Obelix XXL 2 will be heading to PlayStation 4. Not only is the franchise being remastered, there's a new original title in the works too. Asterix and Obelix XXL 3 will be making its debut next year. 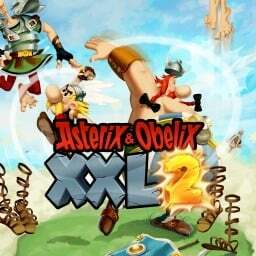 The first Asterix and Obelix game with trophies was Asterix & Obelix XXL 2, which was developed by Osome Studio, published by Microïds and released on 29 November 2018. The next Asterix and Obelix game scheduled for release is Asterix & Obelix XXL3: The Crystal Menhir for PlayStation 4, which has a release window of Late 2019.